You may know that here at Argyle UMC, our mission is to grow together as disciples, working with God, to transform the world one life at a time. Over the last seven weeks of the Lenten season, we raised money each week to go to specific missions of our church, all with the intent to transform the world one life at a time. As the Wired 4 Service team collected statistics on your generous contributions to these missions each week during Lent, we thought that it would be fun to share some other statistics. Typically, we track donations and lives transformed...but what if we told you exactly how many grains of rice your donations contributed to? Week 1 of Lenten Offerings provided a meal catered by Babe's for the first responders in our community. In total, we fed 47 very hungry and very appreciative fire fighters, EMS, and police officers. Did you know that 47 hungry first responders can tackle twenty three and a half pounds of mashed potatoes?! Week 2 of Lenten Offerings provided college care packs for 70 of our church youth. With our college students attending college from coast to coast, our college care packs traveled over 12,375 miles! Week 3 of Lenten Offerings benefited the Shiloh and Argyle Food Banks in our community. Over four thousand pounds of food were donated, which means we were able to feed over seven thousand meals to the hungry. Week 4 of Lenten Offerings allowed Argyle UMC to host our annual dinner for the widows and widowers of our church. Our youth helped to love on 39 of these sweet men and women. 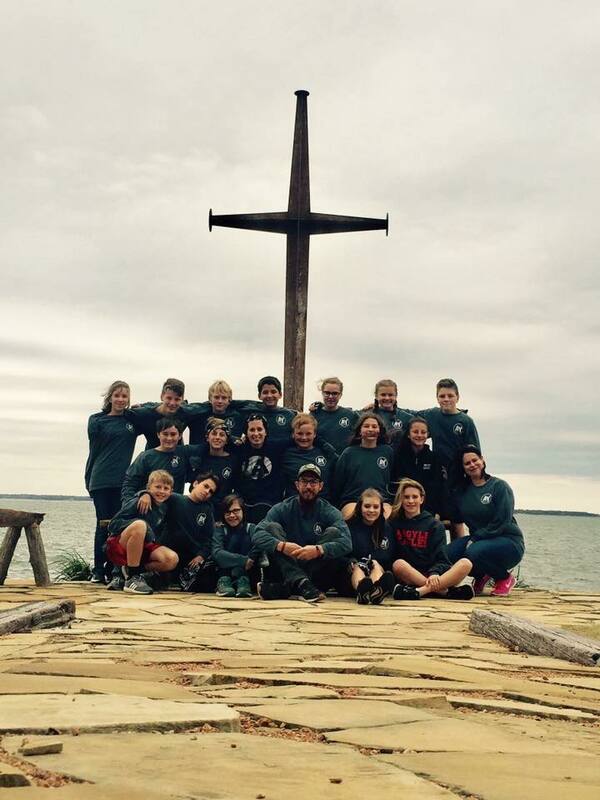 Week 5 of Lenten Offerings will help thirty of our church youth attend mission trips this year. We are estimating that this also equals approximately 150 "Are we there yet?' from the youth as they travel this summer. Craig & Carla - does that sounds about right? Week 6 of Lenten Offerings will provide transportation for 55 economically disadvantaged kids to attend UP Summer Camps at Argyle UMC. The wheels on the bus will go round and round for 138 miles that week! Through your generosity, we were also able to donate two bicycles to Borman Elementary to be presented to two students that achieve perfect attendance, which we know will bring endless hours of childhood joy. Week 7 of Lenten Offerings will help Argyle UMC host Rise Against Hunger for our annual Worship Without Walls event. Our goal is to provide 20,000 nutrient-rich meals that will feed approximately 700 families. As we alluded to earlier, if your wondering how many grains of rice that is...don't worry, we did the math. There are 48 grains of rice in one gram. There are 200 grams of rice in one meal. There are 9,600 grains of rice in one meal. There are 192,000,000 grains of rice in 20,000 meals. Come to Worship Without Walls on April 29 and help us package those 2 million grains of rice! At the beginning of the 2017-2018 school year, student intern Katrina Krauss and I sat down to discuss the Denton Wesley Foundation's budget for the Shiloh food pantry ministry. We knew the statistics: nearly 60% of all college students face food insecurity, and Shiloh provides free groceries to several hundred students each month. But we also realized that we could not spend what we were used to putting into the food pantry. If we did not have the money in our budget to stock the food pantry, how would we help the hundreds of students who frequent Shiloh? "This is God's ministry, not ours," we decided, "and God sees the need and will provide." The very next day, a woman named Sue Herring walked into the Wesley. "I was wondering how my husband and I and our church can help support your food pantry," said Sue, who had felt led to serve at Shiloh for months. 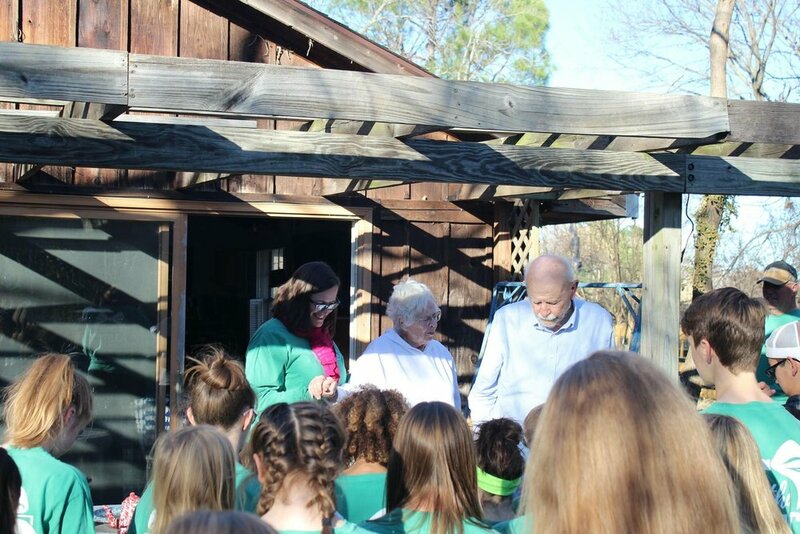 Since then, Paul and Sue Herring of Argyle United Methodist Church have gathered 30 volunteers to cook and serve lunch to over 100 students on Thursdays and to staff the Shiloh Food Pantry. Each week, they collect donations, purchase additional food for the pantry, and help keep our property clean and organized. They greet students and give them tips on how to prepare certain foods or just general advice about adulting. This month, Argyle United Methodist Church has raised money and nearly 700 pounds of food for Shiloh Food Pantry, organized a work day to clean the Wesley, and put together a huge care package for our students! 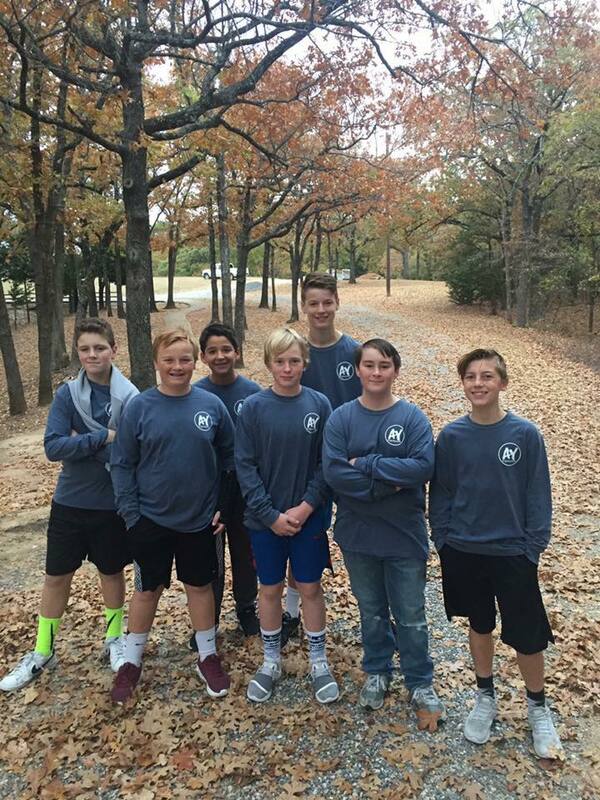 Argyle's involvement in our college ministry represents an intentional move at the Denton Wesley Foundation to form intergenerational relationships and partnerships. We are striving to put our students into contact with those outside the campus community so that they can reciprocally use their gifts and experiences to enhance one another's lives and relationships with God. In addition to Argyle's work with our students, we have also been blessed by people like Kent Carpenter of First United Methodist Church who is leading a Bible Study at the Wesley and like Clay Thurmond, Jonathan Perry, Chuck and Cynthia Rives, Russell Van Hoose, Beth Barnhouse, and Krystal Stroud who, with our students, have formed a group called Intersect. They gather twice a month to study the Bible and work for social justice with one another. Together, this intergenerational cohort has worked on initiatives such as DACA education, Denton Women's March, Title IX, and Take Back the Night. It is currently planning a #ChurchToo conference to help churches recognize, prevent, and address sexual misconduct. 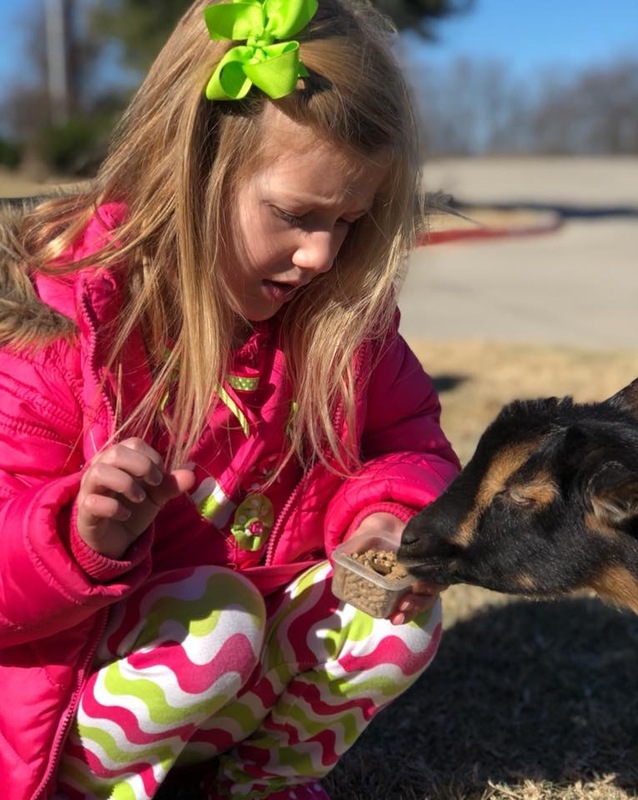 Finally, the Denton Wesley Foundation is looking to connect with younger generations. We will be planning and hosting a Youth Worship Night at the Wesley for UMC youth groups in the area in April. Our students have much to give to and much to learn from these youth, and we are eager to form relationships with them. Far from being just a ministry to college students, the Denton Wesley Foundation is a community in which many generations join together, passionate about each other's lives in Christ and compassionate towards one another. We call this a Com/Passionate Community, and we are thankful for those who make this possible. My name is Dylan Hilburn and I ‘m going through Confirmation this year. To me, Confirmation is one of the biggest events in my life because I am confirming my belief in Jesus, God, and the Holy Spirit. I also get a name tag and get to join the church! As part of confirmation, every kid got a mentor. Mine was Mr. Pete. I’ve enjoyed spending time with him. He came to our house for dinner and we went to their club house for lunch. We’ve discussed many things that I’ve learned in confirmation. I like being able to talk about what I’m learning with him. I feel like me and Mr. Pete are going to be friends even after I’m confirmed. I have learned so much about the Methodist Church and the people that founded it. In Confirmation class, we have covered some pretty deep topics. Some of them were Salvation, Life after death, History of the church, our beliefs, and so much more. This was important to me because it helped me understand my faith on a deeper level. In a couple of weeks, I will make a big step in my journey with God by getting baptized and confirmed. It’s Sunday morning, 10:50am, and the first few kids are starting to make their way to the “Love” room. This room is used for a multitude of things including M.O.M.s group, Fast5, Staff Meetings, Care Team Meetings, etc. But every Sunday morning by 11:10am, this room is bursting at the seems with children ranging from Kindergarten to 5th grade. As I make my way into the room, there are kids playing Legos, drawing on the dry erase board, playing the piano and catching up with friends. The room is loud and most people avoid walking across its threshold. Once you’re inside though, it’s easy to get swept up in the chaos of play, laughter, games, and storytelling. Over the past few months I’ve watched the number of these kids grow. They’re building relationships, helping to teach one another about God, and keeping us on our toes. By 12:10pm, things are winding down and almost all of our kids have cleared out. The room is quiet and sometimes in pieces, but as Sarah Hines and I clean up we often talk about how the day went. We talk about new friends, funny conversations and the kids who continue to impress us with their understanding of God. We are thankful for the kids and the chaos and the love that is bursting from the seems of that room. You can always find upcoming opportunities at argyleumc.org/events or learn more about what we’re up to by liking us on Facebook at facebook.com/argyleumckids. Argyle UMC has been actively praying and seeking how we can engage young adults in life-changing relationships with Jesus and the Church. The Denton Wesley Foundation is home to hundreds of local college students who come for study, fellowship, worship, meals, community and more. Last fall, Argyle UMC members Paul and Sue Herring boldly walked in to the Denton Wesley Foundation to ask how our church can partner with their mission and ministry. They were embraced by the students and staff and began to build relationships with service, engagement and of course, food! A team of cooks and hosts arrive every Thursday at the Denton Wesley to prepare, cook and serve a free lunch to the students. Many students will come in to sit and eat, share about their lives, receive hugs from the volunteers and friends, and find rest and community during lunch. The Shiloh Food Bank is open every other Friday for the students to come and receive fresh groceries and home items at no charge. Argyle UMC has helped to stock the food bank that will reach up to 200 students. Our Volunteers are present to welcome, share hugs and support, as well as offer tips on how to prepare meals with the food they have received. 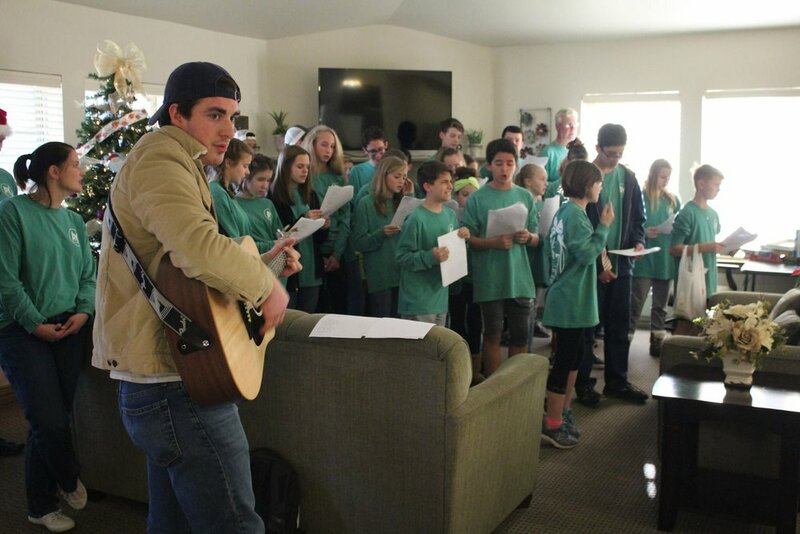 As we talk about having a “Daring Faith” and living our faith “out loud,” Argyle UMC continues to respond to God’s call to engage with young adults in life-changing relationships through Denton Wesley Foundation. 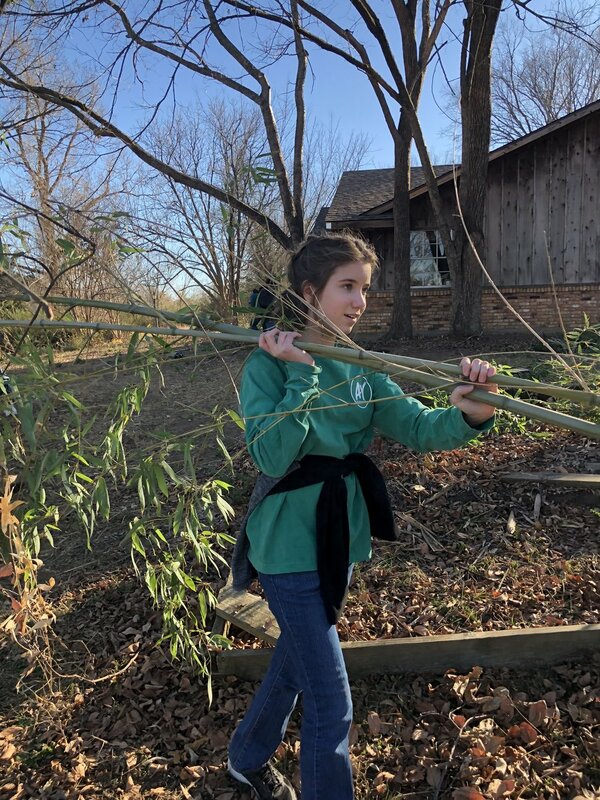 The students and staff have been greatly impacted by the relationships they have with our church members who volunteer to love and serve them. Argyle UMC has an opportunity in Jan. & Feb. to donate non-perishable food and other needed items for Argyle Food Bank and Shiloh Food Bank at the Denton Wesley Foundation. You are also invited to serve at the Shiloh Food Bank, reaching 200 students every other Friday from 1-3 pm. Contact Sue Herring 214-277-9548 or sue1944@verizon.net to volunteer. A couple of years ago, God put a dream in my heart for a day of service called Be the Gift. I wanted a way to put into action the messages we give our students every Christmas “It’s better to give than to receive,” and “Christmas is about being generous and sharing with others.” It was important to me that our students know how to LIVE OUT their faith and to see that they can make a big difference in their communities as middle school and high school students. Last year, we kicked off Be the Gift with about twelve kids and three service projects; it was amazing. We knew this year would be bigger than last year, but y’all, we were blown away when 40 kids signed up to serve! God’s hand has been at work all throughout the planning process. One of our youth’s family who owns a bus (AND decorates it for Christmas!) volunteered to help cart around all these kids. A divine meeting with UP Ministry volunteers resulted in finding a perfect project for our students to shop for UP Angel kids. We thought we ordered too many t-shirts but ended up having JUST the right number. In other words... we have been saying “God is Good!” the whole way through. We knew the day was going to be special, and it was! 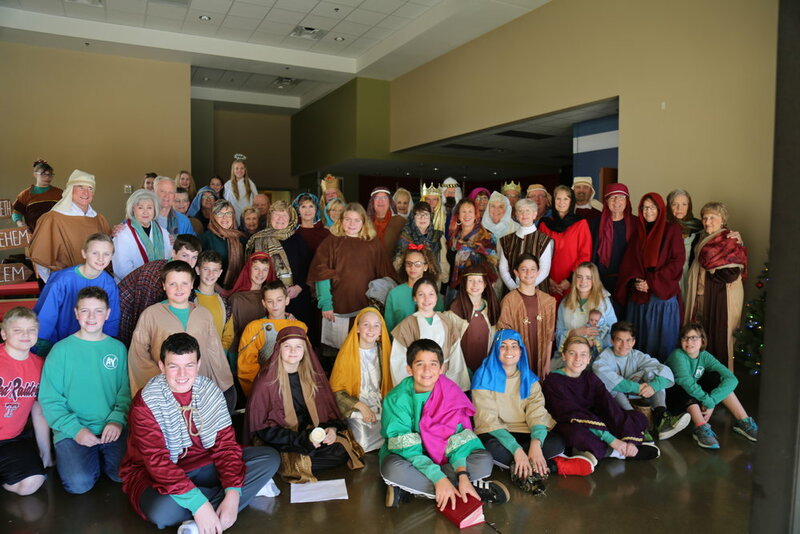 We kicked of the day at our church, where our students hosted a walk-through play of the nativity story, so that young kids and their families were able to see the story of Jesus’ birth come to life. It was amazing to watch the little ones look up to our “big kids” and to see them understand the story of our Savior’s birth in a new way. Then, each student received $5.00 to spend at 5 Below and was able to pick out gifts for kids in need. It was neat to watch our students picking out things that they thought other kids might like to receive for Christmas. They were so thoughtful in their selections! Later, we visited an elderly couple who have lived in Argyle for over 40 years. They’re limited in mobility, so we helped them clean up their yard to make it safer for them to be outside. Our students worked so hard and got a ton done. In the end, the couple came out to thank the kids and pray for our group. Then, one of our 6th-grade students, Jenna, jumped up and prayed over them. Such a blessing! Last, but certainly not least, we blessed our friends at Mayberry Gardens by spreading some Christmas cheer, caroling with them. We brought small treats for each resident and each one of them expressed how much it meant just to have the students there. Many students recognized their “friends” from our visit in the fall. 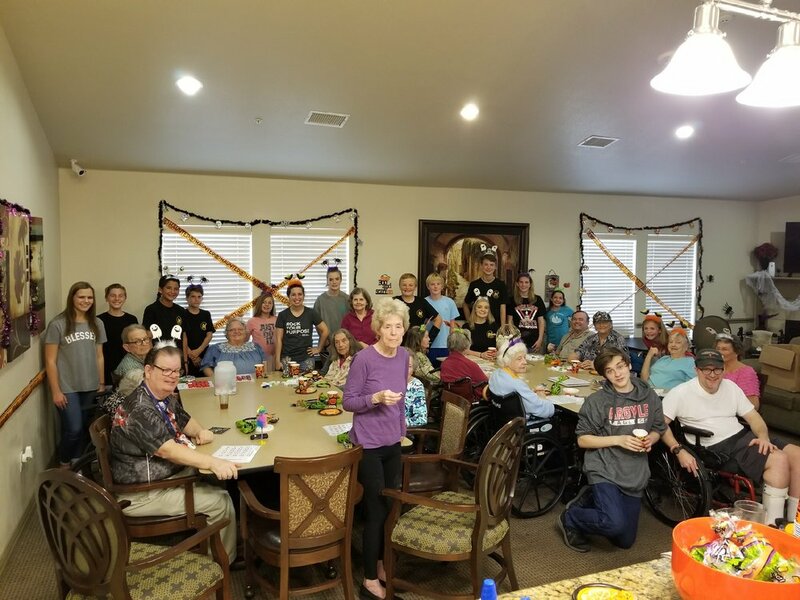 It was sweet to see not only our students recognize the residents, but also the residents light up to recognize our students. At the end of the day, almost every student asked when we could go back to serve the couple and Mayberry Gardens. Our students are hard workers with HUGE hearts for God and others. They spread all sorts of joy, hope, love, and peace throughout the day and were a huge blessing to our community, which is what this season of Advent is all about. Their hearts to serve and love others is incredible and God is using them to be the gift in this community! The Christmas season, through the eyes of a child, is nothing short of spectacular. Argyle UMC hosts it’s Breakfast in Bethlehem each December to celebrate the birth of Jesus and to welcome the community with open arms (and bacon). During our celebration this year, we had more than 60 adult volunteers who gave their time, love, donations and skills to this event. These people helped to set up, run and tear down every tiny detail so that they could share the love of Jesus Christ with families within our church and community and to share with each person who joined us that day the story of how the Messiah was born. We also had over 40 youth volunteers during this event who got up early on a Saturday, dressed in costumes and gave their best performances so that our younger children could experience the Christmas story first hand! These volunteers not only entertained and fed children for two hours on Saturday, but they showed them the wondrous and true meaning of Christmas. It is so exciting to witness the congregation of Argyle UMC is using it’s giftedness and working together to be the hands and feet of Jesus. Women’s ministry at Argyle UMC is committed to the spiritual development of every woman, no matter her age, in this community. From fellowship opportunities like an afternoon spring tea and Christmas BUNCO to opportunities to walk together with God through retreats and engaging speakers, Light Women’s ministry is a beacon of hope and joy in this congregation. They serve each day in their community and beyond. This year, the group wanted to embrace the intergenerational nature we have here, and encourage women in different stages of life. During our last sermon series, we talked about all of the ways that God’s people gathered around tables and food. A Supper Club seemed like a great place to begin. We all have spiritual gifts. While it may take some of us longer to recognize, accept and use these gifts to glorify God, some of us, like Dorothy Pritts, learn and apply these gifts at a young age. Dorothy is a 5th grader at Argyle Intermediate and enjoys tennis, horseback riding and using her artist skills whenever possible. Dorothy with her father Jeff, her mother Marci and older brother Wayne started their “Try 5” at Argyle UMC in June of this year. Dorothy and I met in August when our Fast5 started back up on Wednesday nights. I discovered early on that she had a servant’s heart. Wednesday nights with our Fast5 are just that, fast. Those nights are fast, noisy and fun, but they are also a great starting point for our youth to start discovering truths about God and what their role is in God’s family. It only took a week or so for myself and the other adult leaders to realize that Dorothy has a servant’s heart and she is not afraid to use it. Dorothy loves to lead her peers in our discussions on Wednesday nights. She is also always willing to set up before a class and clean up after everyone has gone home. While she is always willing and does these things with a smile on her face, she did admit to me that she does not always like to do chores at home. On Sunday mornings at our 11am Sunday School hour she is usually only one of two or three 5th graders and regularly helps check children in and lead our small groups. In fact, she casually asked what I was doing behind the computer one Sunday and when I told her I was checking children in she immediately asked how she could help. Dorothy’s love for God shines through in everything that she does. While I’m sad that this will be her last year with our children’s ministry, I am elated that she will have Carla Hilburn, our Middle School Youth Director, and Craig Lay, our Senior High Youth Director, to mentor and help her grow in her faith. Whether she chooses to become a teacher or an artist or an animal rescuer I know that she will fill the world with God’s love through her servant’s heart. 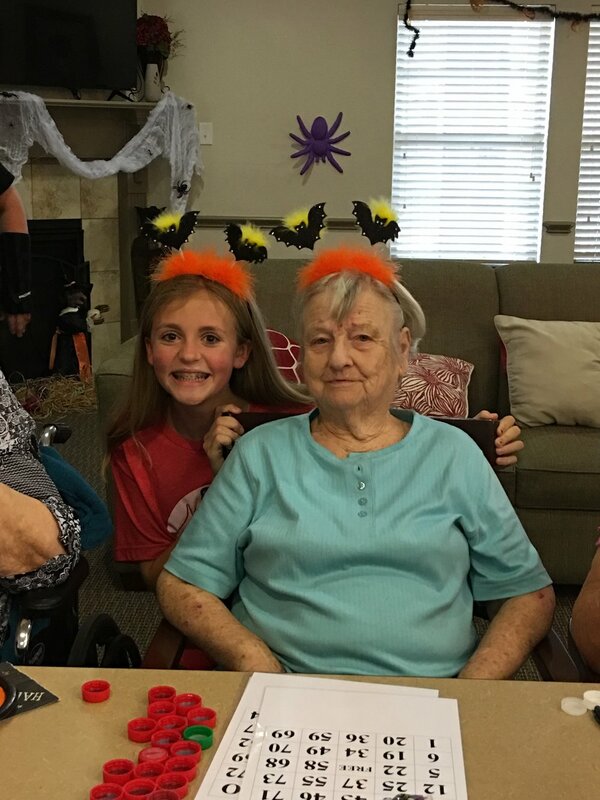 I loved spending time at Mayberry Gardens nursing home and having fun with Ms. Betty Elizabeth. As soon as we chose our new friends, she was welcoming. From there, we talked about our love of bingo. We laughed and shared our thoughts about our unlucky (bingo) card. By the third round I had learned about her life, siblings, and thoughts on the world. Once we shouted “WE WON!” for bingo, she gave me her headband, which was her prize for winning, and we even got some more (another head band). We took some photos of us as twinsies. At the very end of the day when we were leaving she asked me if I was coming back next year and said she that she is going to teach me how to crochet. I told her I will for sure be back, and prepared for a crochet lesson. Mayberry Gardens and Ms. Betty Elizabeth strengthen my faith in Christ and my eyes on the world. All students are invited to participate in the incredible work that God is stirring in the hearts of our youth. You can find opportunities to engage with our Argyle Youth at argyleyouth.org or on Facebook at facebook.com/argyleyouth1.